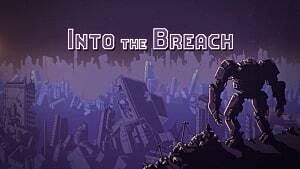 A radically different experience than Subset Games' other main title FTL, the mech combat strategy of Into The Breach forces you to learn how to use the map to your advantage and plan ahead with proper tactics to ensure victory. Each playthrough of this timeline-hopping game features four main islands to defend, with a variety of maps within each island. 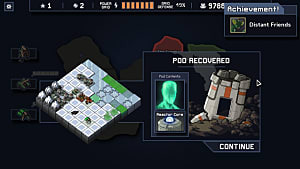 The maps are slightly randomized, but the real difference in your playthroughs will be in which Into The Breach squad of mechs you choose, which radically changes your overall strategy. Not sure which squad to pick to achieve victory? Below we list them all out, along with their requirements and tactics. 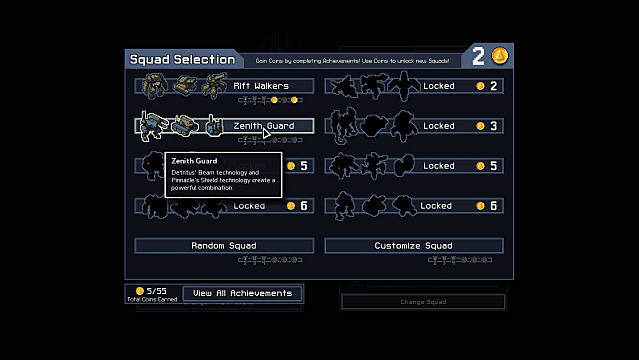 Every mech within these squads has a unique ability that needs to be used effectively to defend cities or take out giant bugs -- but the squads also feature different classes of mechs that will change up how you upgrade your pilots. For instance, you can't buy any science upgrades when using the standard Rift Walker squad from the game's starting point, as that squad has no science-class mechs. Besides the starting Rift Walkers, all of these squads must be unlocked by spending coins that are earned by completing in-game achievements. Squads can't be changed in-game, however. If you want to try out a different type of squad, just choose Abandon Timeline in the menu and then select which pilot you want to keep. While you will have to re-do all the levels (which isn't really a setback, since the maps are randomized), you can now select any island you've previously unlocked in any order. These were the very first Mechs to fight against the Vek. 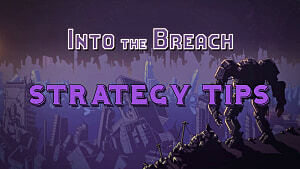 They are efficient and reliable and have a very basic strategy. Your well-rounded squad, the Rift Walkers have one mech for straight up damage, one for ranged, and one for crowd control, with all three types capable of pushing enemies at least 1 tile. At only two starting health, the Artillery is your weak link, so keep it safe or spend cores on upgrading health as soon as possible. These Mechs specialize in positional manipulation to turn the Vek against each other. Getting victory when you have to kill bugs in a limited amount of time can be a lot harder with this squad if you don't have a very solid grasp of movement and plan ahead more than one turn. Your goal here isn't so much to deal damage, as to reposition a bug so its attack goes off against its allies, or to straight up push them into water (if they are susceptible to drowning) or against mountains to deal damage. R.S.T. weather manipulators allow these Mechs to take advantage of smoke storms everywhere. Desert maps will be a godsend for your crew, since you can quickly turn the entire map into smoke and then cause any enemy in the smoke to take damage every turn. If you go with this squad, be sure to pick the smoke bomb unlock after completing an island to give yourself even more smoke capability. Invincible to flames, these Mechs aim to burn any threat to ashes. Obviously your goal here is to attack the forest terrain more often than to directly attack the enemy. 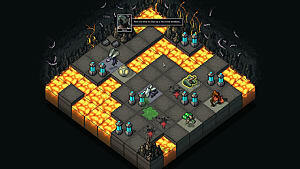 Be sure to reposition enemy Vek into those flaming tiles and set fire to spawn points, but don't be afraid to hang out in them yourself if necessary since fire won't kill your crew. Keep in mind that the Swap mech automatically flies, so you can keep him over water tiles and out of harm's way much of time. Detritus' Beam technology and Pinnacle's Shield technology create a powerful combination here. This one is radically different from the base Rift Walker squad, so get ready to change tactics if you buy this first trying to get a science mech. The brute charge mech damages itself when ramming, which can be negated with the repair ability if you can burn a turn. 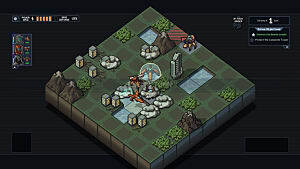 The non-damaging science defense mech should be used to reposition enemies with its pull, or to throw shields on undefended cities. Be careful of the prime laser mech's burst beam, which hits everything in a line, meaning you will have to position carefully or you will destroy your own cities constantly. If you use the defense mech wisely here, you can hit 4+ enemies at a time, however. These Titans rely on the Cryo Launcher, a powerful weapon that takes an experienced pilot to master. As with several of the later squads, the third Ice mech in the squad automatically flies. 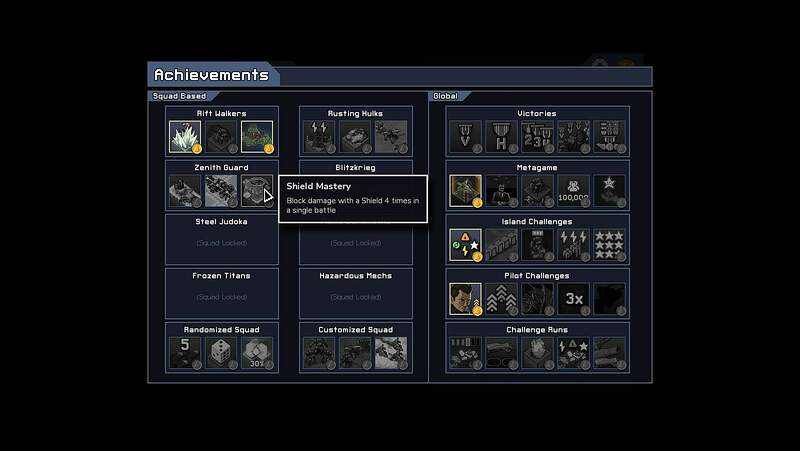 Because you can protect buildings and prevent enemy movement, try going through a battle with as few kills as possible to net the Pacifist achievement. R.S.T. engineers designed this Squad around the mass destruction capabilities of harnessed lightning. One of the most difficult squads to use effectively, you have to really change your tactical focus here and also spend some upgrades to get these guys into shape. Be sure to use thrown rocks and the hook tank to create chains for your lightning attacks. These Mechs have spectacular damage output but rely on nanobots feeding off dead Vek to stay alive. The Nano mech automatically flies so can be positioned freely over water. Don't be afraid to put your units in harm's way here -- healing 10 mech health in a single battle nets you an achievement on your way to more coins. 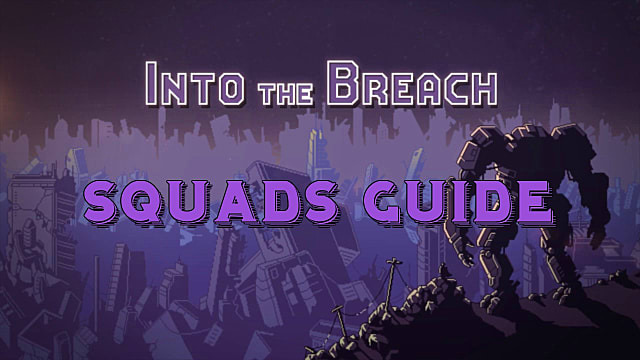 Which squad are you most excited to try out, and which Into The Breach mech squad has been your favorite to play with so far? Let us know your perfect squad strategies in the comments!